Very excited (yet extremely nervous) to announce that we start shooting the second season of “KING WOMEN” this week. So YES… For all those that have been invading my DMs and accosting me both in private and in public 😝 you WILL have a new season THIS year. We’re also playing with the idea of a rebrand. Changing the title “King Woman” back to it’s original native name “ObongAnwan”. For those that don’t know the story, “ObongAnwan” is a chieftaincy title bestowed on worthy women in my mom’s state of Akwa-Ibom (where she is from) and this native name directly translates to “King Woman.” The original inspiration for the series was my mom who has been offered this prestigious title numerous times. However when naming the series, I was worried people wouldn’t embrace a native name. I’m no longer worried. I would love it’s deep, cultural essence and significance brought back. However, “King Women” has caught on. So what do you guys think? Leave as is, or evolve and bring back the richness and power rooted in the name. Shoutout to @trellisgroupco for creating an amazing logo. Can you tell what it is??? 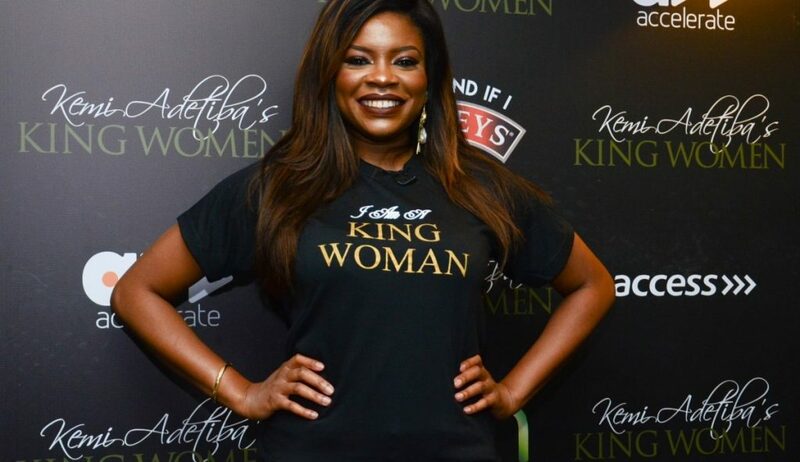 The reason Adetiba stuck to an English name for the show was because she wanted it to be more accepted. As it is, she’s comfortable in reverting to the roots of the show’s idea and I think it’s original. King Women told the success stories of powerful women across different industries, including their failures, and season two can’t come soon enough.